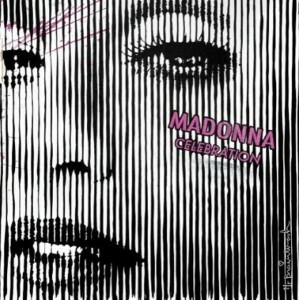 Madonna’s 6-track CD maxi-single “Celebration” has been released in the US and the vinyl edition of the single will soon also be hitting the stores come October 20th, 2009. The newly released “Celebration” currently features a new and different artwork created by Mr Brainwash, which is based on a Wayne Maser photo from 1992, according to Madonna’s official site. “Celebration” is available for order at Amazon.com.